Diabetes is a serious public health problem. Improvements in the treatment of noncardiac complications from diabetes have resulted in heart disease becoming a leading cause of death in diabetic patients. Several cardiovascular pathological consequences of diabetes such as hypertension affect the heart to varying degrees. However, hyperglycemia, as an independent risk factor, directly causes cardiac damage and leads to diabetic cardiomyopathy. Diabetic cardiomyopathy can occur independent of vascular disease, although the mechanisms are largely unknown. Previous studies have paid little attention to the direct effects of hyperglycemia on cardiac myocytes, and most studies, especially in vitro, have mainly focused on the molecular mechanisms underlying pathogenic alterations in vascular smooth-muscle cells and endothelial cells. Thus, a comprehensive understanding of the mechanisms of diabetic cardiomyopathy is urgently needed to develop approaches for the prevention and treatment of diabetic cardiac complications. This review provides a survey of current understanding of diabetic cardiomyopathy. Current consensus is that hyperglycemia results in the production of reactive oxygen and nitrogen species, which leads to oxidative myocardial injury. Alterations in myocardial structure and function occur in the late stage of diabetes. These chronic alterations are believed to result from acute cardiac responses to suddenly increased glucose levels at the early stage of diabetes. Oxidative stress, induced by reactive oxygen and nitrogen species derived from hyperglycemia, causes abnormal gene expression, altered signal transduction, and the activation of pathways leading to programmed myocardial cell deaths. The resulting myocardial cell loss thus plays a critical role in the development of diabetic cardiomyopathy. 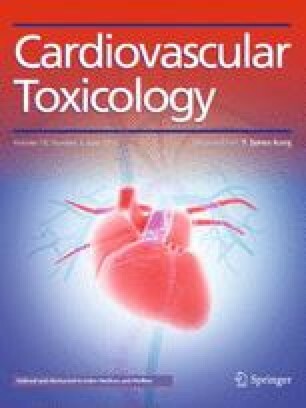 Advances in the application of various strategies for targeting the prevention of hyperglycemia-induced oxidative myocardial injury may be fruitful.